Mix the rice powder with water, keep it for 2 hours. (If you don’t have the rice powder, then soak rice for two hours and grind it to a paste in the blender) and add the seasonings. Clean the blossoms, remove stems and stamens. Sprinkle with salt to taste. 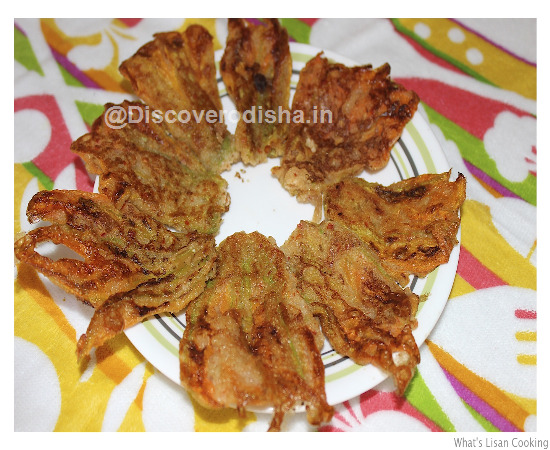 Delicately dip each blossom into the seasoned rice paste and shallow fry till light brown.